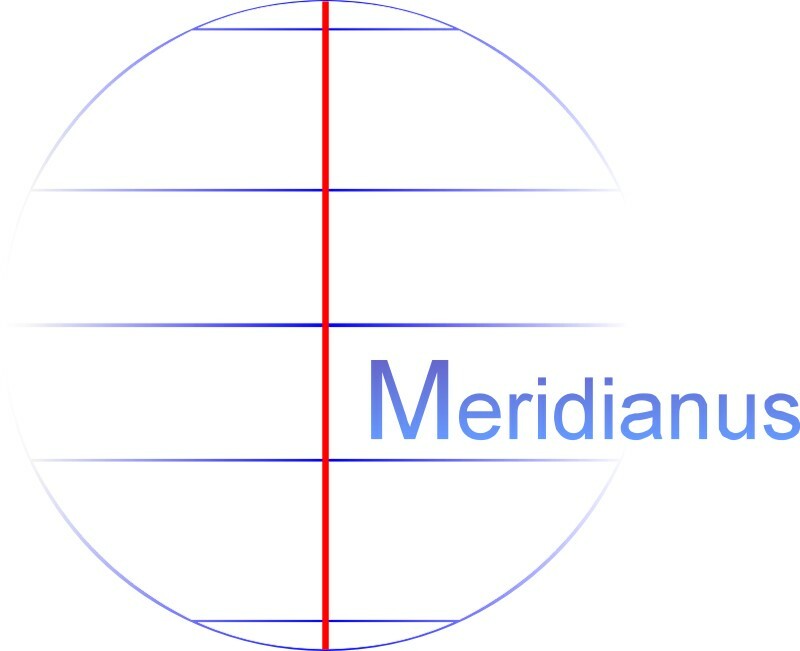 A meridian is an imaginary arc on the Earth's surface from the North Pole to the South Pole. Each meridian is the same size: 10800 sea miles. Meridians are everywhere around us and we cross them every day many times.